Sulaimaniyah International Airport is an airport 15 kilometers outside the city of Sulaimaniyah, in Iraqi Kurdistan. Deutsche Post DHL Group (DPDHL) in partnership with the UN and the Kurdistan Regional Government (KRG) are preparing airport personnel for post-disaster logistics situations. 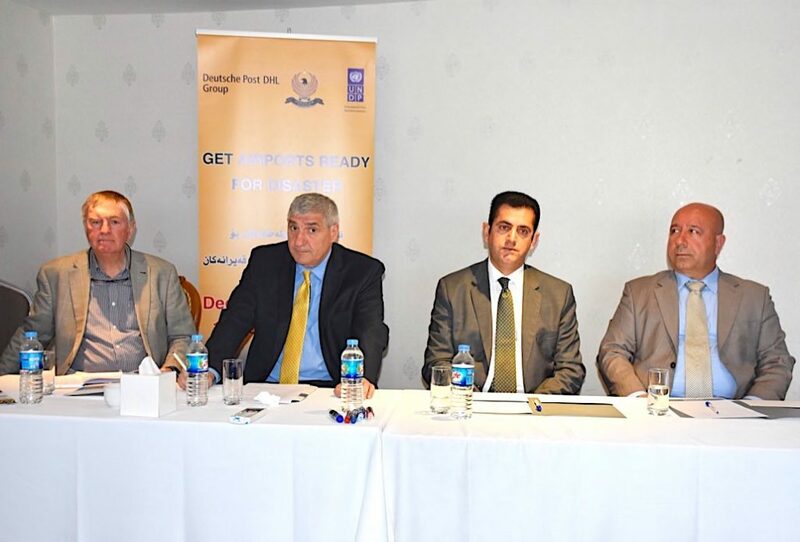 The United Nations Development Program (UNDP) and Deutsche Post DHL Group (DPDHL), in partnership with the Kurdistan Regional Government’s Joint Crisis Coordination Centre (JCCC), are conducting a ‘Get Airports Ready for Disaster’ (GARD) workshop in Iraq from April 14-18. The five-day workshop will provide training to a mixed group of 30 airport staff, as well as employees from relevant government agencies, at Erbil International Airport (EBL), marking the first time a GARD workshop is held in Iraq. 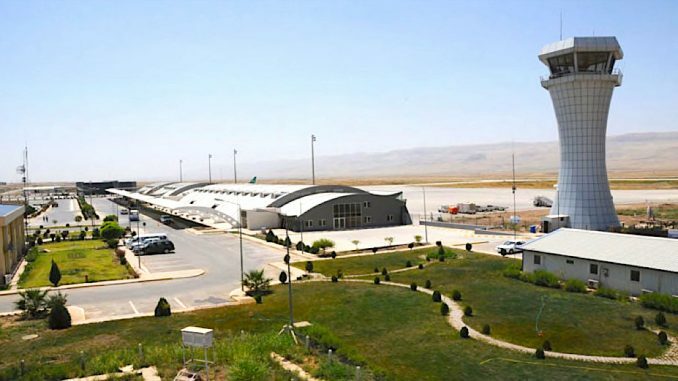 Also attending are staff from Sulaimaniyah International Airport (ISU), an airport 15 kilometers outside the city of Sulaimaniyah, in Iraqi Kurdistan. Iraq, in addition to security issues, faces multiple threats from natural disasters due to its varied climate, including drought and desertification, floods, sandstorms, and earthquakes. Along its border with Iran, where the Eurasian and Arabian tectonic plates meet, earthquakes occur frequently. In November 2017, an earthquake measuring 7.3 magnitude hit this area, the largest ever recorded in this region and considered the deadliest quake in the world that year. “As a frequent responder to help after natural disasters, we at DPDHL see it over and over again – airports quickly get overwhelmed by the chaos of incoming relief aid, UN and NGO personnel, military organisations and the crowds of people trying to leave,” says Chris Weeks, vice president, Humanitarian Services, Deutsche Post DHL Group. One expected outcome of the GARD workshop is to identify areas in the airport that could potentially serve as key locations for disaster logistics operations. The GARD workshop will also evaluate the airports’ capacities for processing high volumes of passengers and cargo and warehousing relief supplies. Vakhtang Svanidze, UNDP resident representative in Iraq says the airport preparedness matters to UNDP because, “the threat of natural or man-made disasters remain high. For example, due to torrential rains, the country continues to witness large scale floods which have claimed lives, displaced people and destroyed property. “The Mosul Dam poses significant risks to the lives and livelihoods of the vulnerable communities along the Tigris flood plain. Managing the logistics of a large-scale disaster response can be complex. Air transport is crucial to providing smart and speedy humanitarian aid,” Svanidze says. Since 2009 nearly 50 GARD workshops have been held in 24 countries, and nearly 1,160 attendees trained. In the Middle East, workshops were previously held in Tehran (2017), Almaty (2017), Aqaba (2016), Amman (2014), Yerevan (2013) and Beirut (2012).